Varanasi - Ghumakkar - Inspiring travel experiences. I have been walking for almost an hour now – I am all drenched in sweat, my water bottle is empty. I do not feel tired… Far in the east, the sun is about to rise – the sky is a bright, beautiful shade of pink and blue. A temple bell sounds somewhere and I draw my eyes back to the world. There is a flight of stairs at my feet and below them after a thin expanse of sand, Ganga is flowing nonchalantly. The river is an unending, mighty serpent around the city or has the city cozily snuggled to the Ganga? It is hard to say, but as I see people bathing in the water, offering the water to the sun, I once again understand – why, Ganga is our mother. It does but offer itself to us, in all its entirety, in all its chastity. I sit by a sage on Meer ghat. He is wearing saffron like most others in this city – tattered in places. There is a multitude of beads around his neck and wrist. Their fake pearls are shining on his sun kissed flash. I look at him only to find him looking back at me. There’s a frightening tranquility in his eyes. It is invading my mind – his peace – calming down the questions of curiosity with a simple wave of hand. I offer him Bisleri, and he smiles pointing out to the river stretching majestically in front of us. I laugh, my kindness dwarfed in its entirety. “What is it like, to be a sage?” I ask. The sun is peaking over my head. I rush to the shade of a banyan tree in a temple compound. The temple itself is small and lonely but for the kids playing around in the compound. There are Sita-Ram-Laxmana idols inside. Varanasi has temples like this as a wall has colors splashed over it on the day of holi. An old man walks to me asking if I want a ride in the boat. I thank him saying that I’ve had enough for a life time. Brushing the sweat off my eyebrow, I see the famous Manikarnika ghat in a distance. A burning pyre is emanating smoke. The ghat is surrounded by numerous wood shops, sit-on-the-ground-eat-in-the-pattal kind of eateries and surprisingly some stalls selling mineral water, tea and biscuits. There’s business in death too. Cremation at this place, they say, is bound to give one freedom from the cycle of reincarnation. They also say that there has never been a day since time immemorial when a corpse was not burnt on this ghat. Beneath the 7 symbolic hollowed umbrellas, the priests have gathered. The conch shell has filled the air with its echoes and they start ringing the bells. The bhajans are getting played on the loudspeakers, loudly. Gods are to hear the prayers, if not by heart, then certainly by decibels. Some people in the boats are floating glowing lighted up earthen lamps in leaves on the river. To the Gods, Ganga must be a galaxy filled with stars right now. And while I was looking away, the crowd has swelled to multiple 1000s! Out of nowhere, a priest has fired up all the lamps. They are mountains of fire in the hands of culture. I wonder how mystique, awe-inspiring it must have looked 40 years earlier with no electricity around. The hands of the priests move in slow melancholic rounds with the patience, perseverance and deftness of thousands of years. I am wondering if the priest hood is restricted to certain – ‘pious’, ‘high-born’ families. How do they induct their sons, apprentices – reciting the Sanskrit shlokas flawlessly? They must have read and learnt the Ramayana or may be Ramcharitmanas(some relaxation of rules over centuries), by heart. Do they know 40 different versions of Ramayana, like I do? Will they be Ram – eating the berries tasted by Shabri or will they be Rama dejecting their lawfully wedded wife for a washer man had questioned the sanctity of her holiness. The night has grown darker but I don’t feel like going to my bed. I have returned to the ghats once again. The steps are lonely but for the young boy pestering two western girls for buying his beads. They are uneasy trying to shoo him away with their SLR cameras. The boy seems stubborn. I half expect them to look towards me for help. She does, not for help, just throwing a casual glance at me while walking over near me with her friend. I look back into my travel – journal; words have their meanings, worlds, meanwhile, are lost. “Are you a writer?” she asks in thick, accented English, as I look up from my journal. I place the accent from somewhere in middle-east, south-east Europe. “I wish I were, but I am not” I reply. Her friend has walked closer to the river to meet a boy. “What has brought you here? I mean, here, to Varanasi?” I quip. “I don’t know, err… maybe I am looking for the wisdom of the east…” she replies. I look to Ganga. There’s a lone boat wading across the water. The splashing sounds of the waves can be heard in the quietness of the night. “You know, according to Lonely Planet, Varanasi is one of the best cities in world to get lost in the streets…” I try to kick start the conversation again. “But YOU can’t get lost here, for heaven’s sake, you are an Indian!” She laughs. The ghats are lined up with ancient high-rising walls. Most of them have been built by kings in their prime. Some of them still belong to them. Their fort like structure is very visible with gazebos and small openings on the walls, stones presumably brought from Rajasthan. They are homes to parakeets, pigeons and even monkeys. Banyan and peepul trees sprout of the walls at numerous places. They look as old as the city culture. But for the graffiti, the walls are all deserted. I’ve never seen better wall paintings in india (Bhimbetka doesn’t count). There’s a Shiva in yogic mudra, one for saving girl child and a BSNL advertisement. The city belongs to Shiva. He’s everywhere – outside the ladies’ changing room on ghats, behind the shady corners occupied by the naga babas, on the ground under the hurried steps of the local guides. I’ve left last two turns deliberately, in an attempt to get lost in the streets of the city. The sun light can barely reach the pavement. This is indeed a labyrinth, I am loving it. I keep walking, ignorant of time and curious about what lies around the next turn. There are kids playing, they remind me of the games of the childhood. The streets give an impression of being here since the beginning of civilization on the banks of the Ganga. There are dark corners, a reminder of our own shadows. I feel feather like touch of a hand on my shoulder. Black hair and beard are flowing freely from his radiant face. His eyes are fixed on Ganga but I can feel him watching me. His body is covered with beads of various types and smeared with what appears to be ash. There’s a vertical scar on his forehead and a trident in his other hand. I recognize him, but I am afraid that it’s really him. I am numb with thoughts while a smile breaks on his face… And then it feels as if my mind has been filled with his overwhelming presence, presence of a calm yet potent ocean. A very authentic and unique post about Varanasi. Your creative yet thoughtful account of varanasi is very excellent… The narrative was so poetic that it kept me pondering about so many things which you intend to highlight here — namely river ganges and her motherly affection :: the ailing mother has offered everything for her children only to get disregard in the name of dogmas and rituals. She doesn’t crib carrying the toxic waste emanating from the dead bodies and the affluent waste…she doesn’t for her love, but we do for our selfish aspirations … Varanasi knows much better what she expects from her subjects … She surely will like you for understanding her plight. .. I liked your perspective about the versions of ramayana … The contrat between jungle wandering yogi ram with King rama kept me musing to find who the real antagonist was between the two.. So far i have read about varanasi but this is the first time i felt it … Thank you for showing varanasi in a new perspective … This is the first time i am reading from you …and will look forward to be a part of your thought provoking backpacking escapades .. Thank you Shekhawat ji, for the encouraging words. Straight from the heart. Poetic. Very personal yet universal. Detached yet part of the melee. Trying to find the truth behind layers and layers of rituals accumulated over centuries. Hope you find it one day. Meanwhile, share more with rest of us. Thank you Talwar ji for your kind words. In my search for ‘truth’, I’ve also realized that it’s actually the journey towards our ‘truths’ that matter and not finding the ‘truth’ itself. Arpit, you disappeared after Nainital. Glad to read more from you. Varanasi is indeed a sublime experience. I have visited only once and am hoping that I am able to spend more time at the Ghats. Thank you. I was wandering Nandanji. J R R Tolkien once said – Not all those who wander, are lost. I was trying to live that quote. Fascinating story about the oldest city Varanasi – straight from the heart! I used to visit Varanasi regularly a long time back. 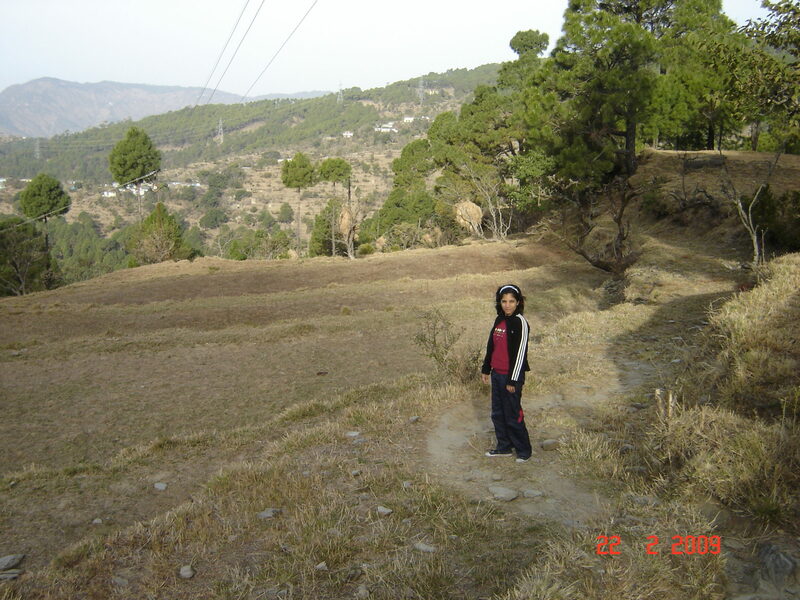 But the absence of roads, no power, and nauseous air kept me inside the cantt area that had some resemblance of a city. And then the horror stories of unburnt bodies floating on the Ganga. I never dared to visit the ghats. 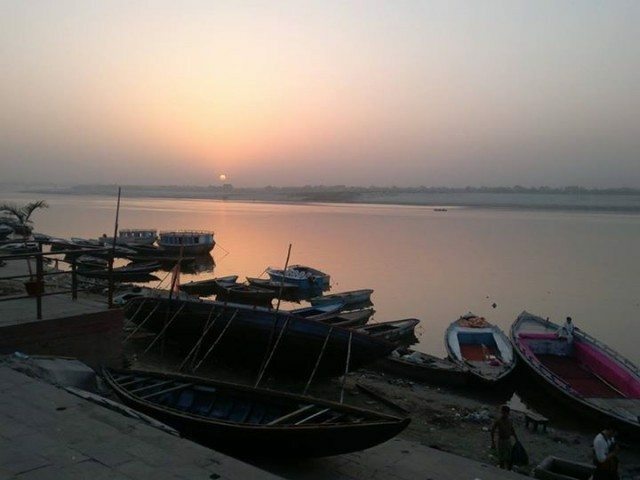 Reading your post now makes me wish I get another chance to visit Varanasi soon. Hope to see you more here with more stories. Thank you for the Nirdeshji for the kind words. Every city has a soul – an undying spirit that lingers on with all the changes that time brings to it. Some cities like Mumbai or Delhi have learnt to ride the wave of time while still hooked on to their past (especially Delhi), some like Varanasi are reluctant to move on. The girl that i mention in my travelogue above has an American friend who found a skull lying on one of the ghats in Varanasi. He was fascinated by the sheer fact that a skull was lying there openly. Back in America, it would have been a crime scene – PD, FBI all over it; here in India, it’s just… life. Nice portrayal of the eternal city. Your distinctive perspective and a tender narration make the article real interesting. 40 different versions of Ramayana – sounds mighty impressive. I never even knew that the epic comes in so many versions. Thank you Aurojit ji for the kind words. ‘d love to buy your books someday. Nainital was the best (when I come across your post in March, 2013)…so as this one. and he humbly replied, “no…my best is yet to come”… (I just forgot the name of the person). That is so true, Amitava ji! Fragrance of the historic city smelt from your story. I kept walking along the ghats and lanes of Varanasi while reading the log. Its quite fantastic. There aren’t too many options to stay and most of them offer very basic amenities. After a lot of research on the internet, we realized that all the hotels with decent reviews (Blue Pine Resort, FairyDale Resort, GMVN Tourist Guest House etc) were booked for the weekend. I was trying to get in touch with anyone who’d give us a room to stay so that we could escape the city and accidentally found just one review of Oak Grove Inn on one of the hotel review websites. That gave me a lead, I googled further and got to the hotel’s website with contact information and called Colonel Rawat (the owner) to check if they had any space left. To my surprise, he plainly said that all the rooms were available and we’re welcome to stay over the weekend.